Hello Friends, Looking For Download Free 500 - 1000 Rupees Note Exchange Bank Slip / Form? As recently our Honorable Prime Minister took decision of banning the notes so now we need to deposit our money into the bank. So you would need the note exchange form which will help you to deposit your older notes. You can download the note exchange form from below. We have provided it below. For any queries or questions feel free to ask below in comments. -The Rs 500 & Rs 1000 can deposit in any bank or post office. - Only Rs. 4000 can be exchanged per day till 24th November. 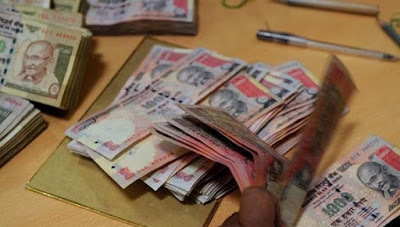 - Besides depositing money in bank accounts, the Rs 500 and Rs 1000 notes can also be exchanged with lower denomination currency notes at designated banks and post offices by presenting any of the following government identity proofs. Surely this form will help you to deposit your money into the bank safely. You need to take out the printout of this form and carefully submit it to the bank with your identity proof zerox adding to it. This note exchange form is a must form for you to exchange money till 31st December 2016 - 31st March 2017. 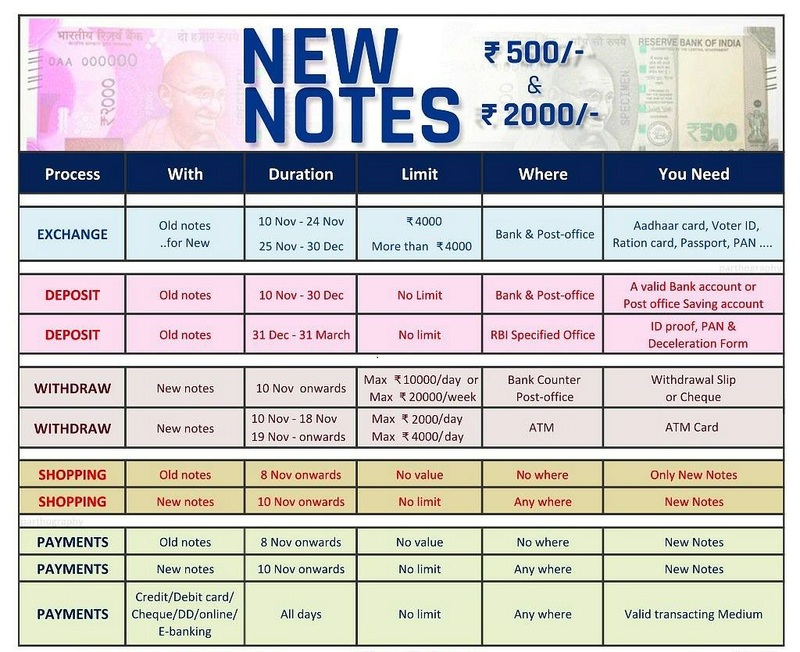 You can Download Free 500 - 1000 Rupees Note Exchange Bank Slip / Form from the link provided below. You need to save this picture and take the black n white printout and fill it accordingly and submit it at the time of depositing money to the bank. 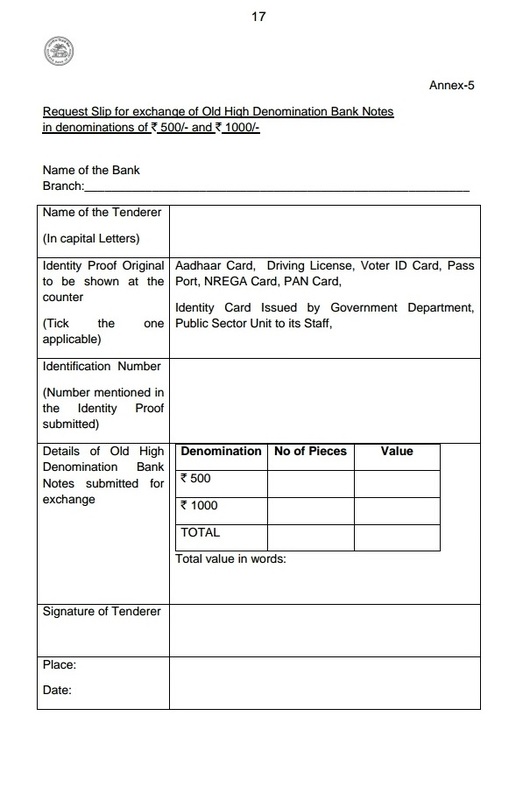 Keep following us for more Free note exchange form for various transactions of your bank. Follow us on Download Free 500 - 1000 Rupees Note Exchange Bank Slip / Form. This was all about Download Free 500 - 1000 Rupees Note Exchange Bank Slip / Form. Hope you have downloaded the books required for the exams. For any questions feel free to ask below in comments. Also keep following us on Facebook for more updates or can subscribe us on mail.